Seeds, fertilizer (e.g. 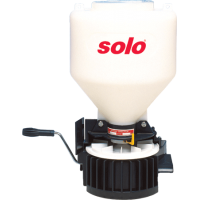 after scarifying), gritting salt, oil absorbers, cleaning agents, pelletized lime, bird seed, stock feed, sand, etc. 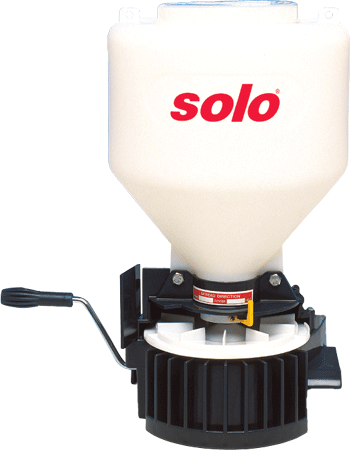 The integral agitator ensures even distribution onto the steadily rotating spreader disc driven by the manual crank. 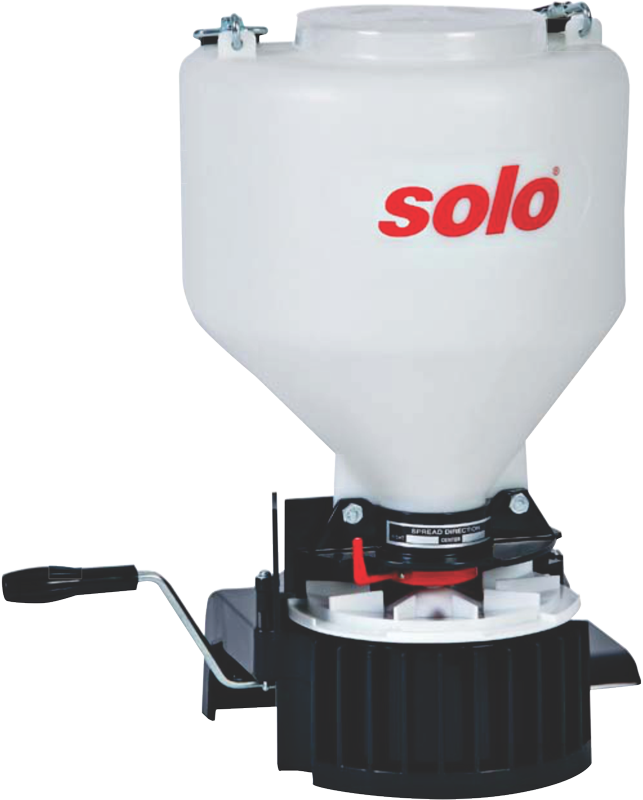 Up to 9 kg of granulated matter can be applied where specifically required, even on difficult terrain – for example where a wheeled appliance would be unsuitable. The direction in which the material is spread can be adjusted just as easily as the delivery rate. 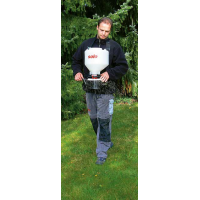 The spreader is carried in front of the body by means of an adjustable strap. 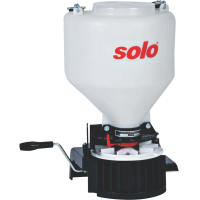 The large filling aperture makes filling easy, whilst the large screw top protects users from harmful dust.